The Red Sox are discussing possible trades of Leon, Buster Olney of ESPN.com reports. Leon is one of three catchers in camp, and the Red Sox said they don't plan to keep all three. This news means the team is expected to keep Christian Vazquez and Blake Swihart as their catching tandem. This could have an impact on Boston's staff, which had a 3.38 ERA throwing to Leon compared with a 3.84 ERA throwing to Vazquez and a 5.32 ERA throwing to Swihart, Jason Mastrodonato of the Boston Herald reports. Swarzak is part of a pair of trades expected to be finalized shortly, sending him to Philadelphia by way of Seattle, Bob Nightengale of USA Today reports. Swarzak will first be sent to Seattle along with Jay Bruce, Jarred Kelenic, Justin Dunn and Gerson Bautista in exchange for Robinson Cano and Edwin Diaz. He'll then be flipped on to the Phillies along with Jean Segura, with the Mariners getting J.P. Crawford and Carlos Santana in return. Both moves are awaiting the completion of physicals. Swarzak posted ERAs north of 5.50 in two of the last three years, but if he can recapture the form that saw him record a 2.33 ERA in 2017, he could potentially fill a high-leverage role in the Phillies' bullpen. Any questions about his future in New England were put to rest during the Patriots' first drive, which was capped off with a 21-yard touchdown strike up the left sideline to Gronkowski. Gronkowski and Brady ultimately hooked up on multliple occasions downfield over the course of the contest, cementing his status as the Patriots' toughest matchup at receiver, particularly while Julian Edelman serves a season-opening four-game suspension. Nerlens Noel reportedly continues to seek trades from the 76ers. It's no secret, that 76ers PF Nerlens Noel s unhappy in Philadelphia. The former number one pick, has been mostly coming off of the bench this season, while the Sixers rotate out big men Joel Embiid, and Jahlil Okafor. It appears that it wouldn't have been too much of a problem, until you enter into the equation this last drafts number one pick, Australian Ben simmons. Simmons was injured in training camp, and has yet to play his first NBA game, but he's inching much closer to a return. His return would mean even less minutes for Noel, and as his agitation becomes more vocal and public, it appears that a trade from Philly could be imminent. Dodgers are reportedly exploring trades involving Howie Kendrick. 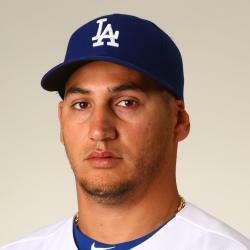 Kendrick was very versatile for the Dodgers last season, having played all around the diamond but he hit just .255 with a .691 OPS so while they are looking to trade the veteran infielder he likely will not bring back a great return. Brewers general manager David Stearns said Tuesday that there aren’t any current trades in the works for Jonathan Lucroy. That may be true as of now, but the speculation of Lucroy being traded has been a storyline throughout the Brewers off-season. The catcher had a very disappointing 2015 season as he had his worst year since becoming an everyday player in 2011. Lucroy finished with a slash line of .264/.326/.391 with only seven homeruns. Lucroy may eventually be traded, but his stock is so low that the Brewers will hold on to the catcher until he starts playing well again. After Brandon Phillips vetoed two trades the Reds stopped shopping him. The Reds had potential deals in place to send Phillips to both the Nationals and the Diamondbacks, but it wasn't where Phillips would land that had him vetoing the deals. It was the fact that he wanted more money from both clubs to go and play for them. Neither club was willing to pony up more and Phillips is under contract for two more seasons. Given the money he is being paid, the Reds are going to truck him out there every game, but at some point, the transition to Jose Peraza needs to be made. The Reds will sit tight for now, but if they do want a change in the next two years, it looks like they may just have to eat some money and sit him. The Rangers have discussed the availability of closer Shawn Tolleson in trades with other clubs, according to two major league sources. 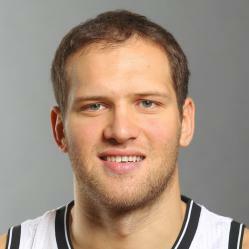 Bojan Bogdanovic is being shopped in trades by the Nets. 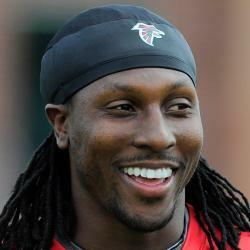 Three teams are mulling potential trades for Falcons' WR Roddy White. With the emergence of Leonard Hankerson and the continued dominance of Julio Jones, the Falcons have all but taken White out of their game plan. They are looking into trade opportunities and it looks like some teams may bite. 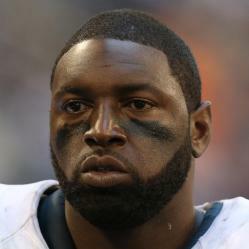 Bears cleared two roster spots with trades Monday and will use one for DL Jeremiah Ratliff. Most notably, the Bears traded Jared Allen to Carolina for a sixth-round draft pick, so it makes sense that one roster spot went to Ratliff, a defensive lineman. The loss of Allen drops the Chicago defense lower in the rankings on a weekly basis. The Dodgers are reportedly discussing Alex Guerrero in trades for pitching. Guerrero hit nine home runs in 93 at-bats in through May but is 12-for-66 since then. He would be a must-own middle infielder for fantasy if he ever gets to play every day though his struggles defensively may prevent that from ever happening.